Who inspired you to pick up a fly rod? Chances are it was a parent, your 'favorite' uncle or a close friend that helped you throw your first tailing loop with great pride. You probably landed your first fish on a hand-me-down rod with a missing guide and a doctored tip. Who inspired you to pick up a fly rod? Chances are it was a parent, your &apos;favorite&apos; uncle or a close friend that helped you throw your first tailing loop with great pride. You probably landed your first fish on a hand-me-down rod with a missing guide and a doctored tip. 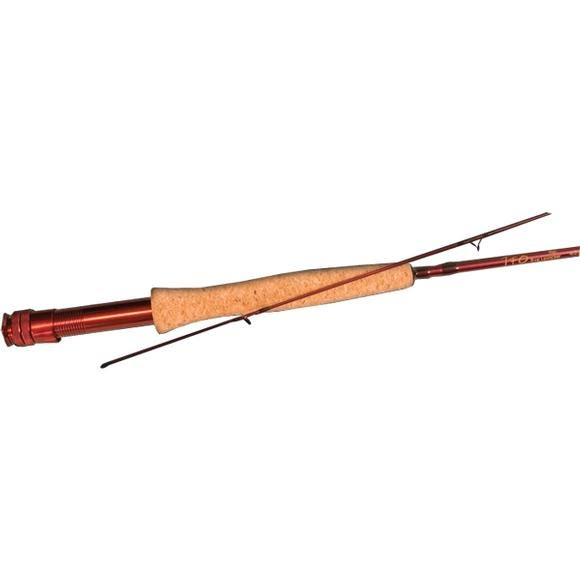 If it&apos;s time for you to pass your knowledge onto others, Temple Fork Outfitters has the perfect rod to hand down; introducing the Bug Launcher series of fly rods. Bug Launchers include thinner diameter compressed cork grips for a better fit in smaller hands. The yellow Bug Launcher logo stands out against a candy apple red blank. Speaking of blanks, this series is made from general graphite so there&apos;s less risk when that passing dragonfly happens to take a swipe. An extended reel seat allows smaller anglers to use two hands for more control.